Rhodolite | Gemstones from A-Z at Rocks & Co.
Back Home Gemstone Information Rhodolite | Gemstones from A-Z at Rocks & Co. Discovered in North Carolina, Rhodolite was named by gem expert, George Kunz, after its resemblance to a mountain rhododendron that grows in North Carolina. More accurately derived from the Greek ‘rhodo’, meaning rose and ‘lithos’ for stone. Kunz described Rhodolite as, "pale rose-red inclining to purple like that of certain roses and rhododendrons". A member of the Garnet family, Rhodolite is a blend of Almandine and Pyrope. Rhodolite looks very different to the 'classic' Garnet reds, coming in combinations of pink, red and purple. Uniquely beautiful, the key differentiators for Rhodolite when compared to its Almandine and Pyrope cousins are its purple shades and a high level of transparency that results in good brilliance. While bigger gems are usually redder with attractive violet flashes, Rhodolite can lose its transparency, brilliance and beauty if too dark. 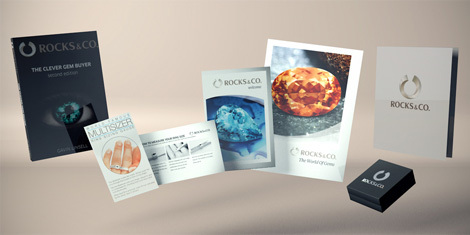 As a Type II gemstone it typically occurs with some minor inclusions that may be eye-visible. 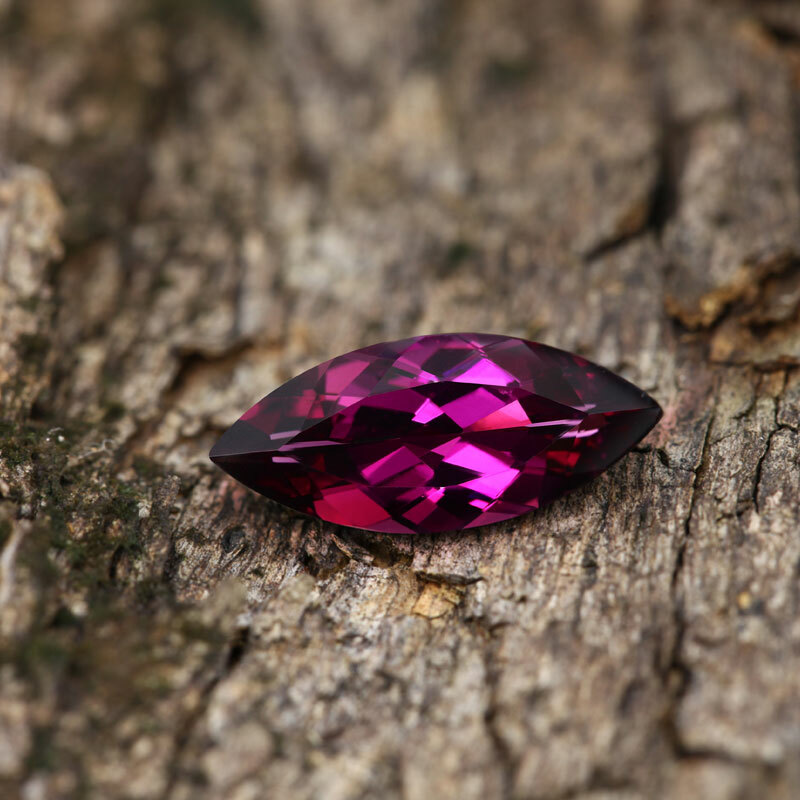 While a few inclusions that don't overly mess with beauty are acceptable, avoid Rhodolite that is overly cloudy or silky. While the original American deposit was exhausted by 1901, Rhodolite had actually been mined in Sri Lanka for over 2,000 years. 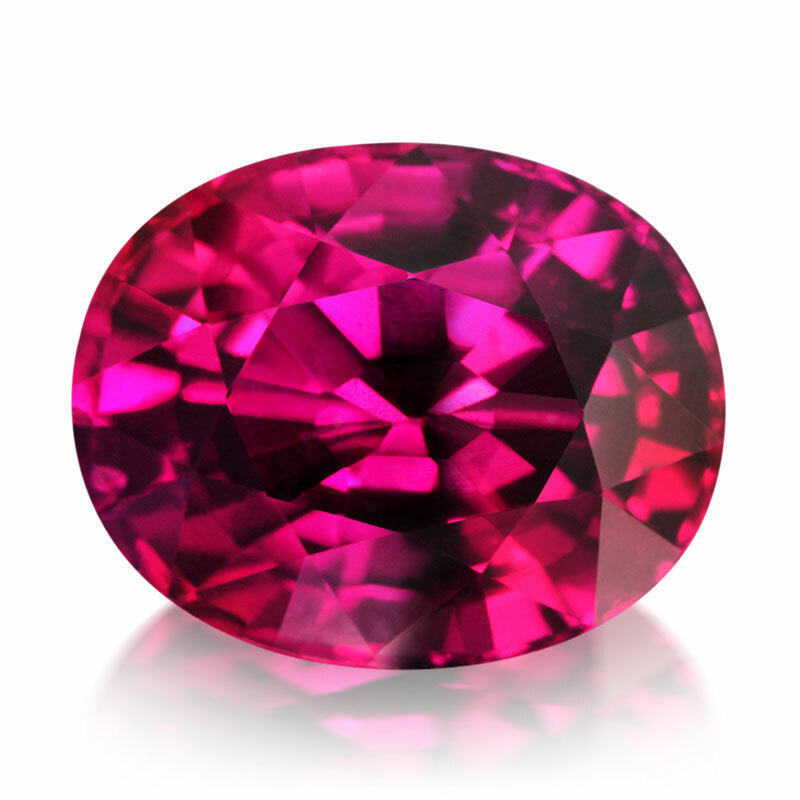 Today, the primary sources for Rhodolite are India, Sri Lanka and Tanzania. Secondary sources include Brazil, Kenya, Madagascar and Malawi. There are no significant differences between any of the major Rhodolite deposits.